BCAA 4000 EXTREME SHOT® NITROLOADER SYSTEMTM is the first-ever product of its kind and a milestone when it comes to assisting athletes from the most demanding disciplines. BCAA 4000 EXTREME SHOT® is a substantive and functional breakthrough concept utilizing and delivering the highest quality, crystalline instantised forms of branched-chain amino acids (L-leucine, L-valine and L-isoleucine). For the first time in history, the NITROLOADER SystemTM - a formula enhancing the effectiveness of the absorption of amino acids, the administration of which in liquid form has already overtaken powder solutions available on the market and resulted in tremendous efficiency, was created by experts from Olimp Sport Nutrition®, who are specialists in achieving optimum nutrition for physically active people. The BCAA 4000 EXTREME SHOT® is an innovation for athletes looking for the most effective solutions with respect to dietary supplements even in the most extreme training sessions. 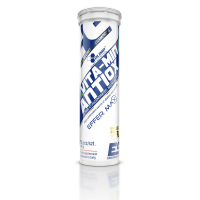 BCAA 4000 EXTREME SHOT® - CONSTANT PROTECTION AND INSTANT NOURISHMENT OF YOUR MUSCLES! By carefully analysing the physical exercise of highly active sportsmen and women, not only those practising endurance sports, but also strength and sculpting disciplines, i.e. bodybuilding, it can be observed that the activities that they perform are often characterised by high diversity, which further increases the high intensity of exercise. Emphasis should be placed on the creation of optimum nutritional conditions, including the use of advanced supplementation, allowing for proper nutrition which is understood as the reduction of the risk of catabolic states within the muscle tissue, ensuring the fastest possible regeneration after intense physical exercise and obtaining a state of supercompensation of energy (carbohydrates) and building (protein) resources. BCAA 4000 EXTREME SHOT® - BCAAs account for about 1/3 of all muscle proteins! BCAAs, or branched-chain amino acids (L-leucine, L-isoleucine and L-valine), are three of the nine essential amino acids that the body cannot synthesise itself and must be supplied by food. They play a crucial role in the development of skeletal muscle. They constitute about 40% of the free amino acids in blood plasma, and 35% of all essential amino acids in muscle proteins. 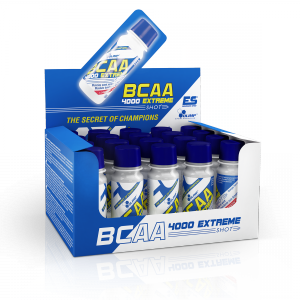 BCAA 4000 EXTREME SHOT® - Exercise longer! BCAAs abolish the feeling of fatigue. Branched-chain amino acids play an important role in central fatigue which is related to the nervous system. Studies show that the amount of serotonin in the brain (responsible for the feeling of fatigue) increases with the duration or intensity of physical exercise. 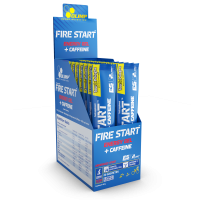 BCAAs compete with tryptophan (the substrate which enables the synthesis of serotonin) for relays in the brain and, therefore, prevent it from penetrating the body, which allows for the feeling of fatigue to diminish. In addition, it has been found that branched-chain amino acids reduce the production of tryptophan in the liver (i, ii). BCAA 4000 EXTREME SHOT® - BCAAs reduce delayed muscle soreness! Muscle pain and stiffness is typical after an intense workout. It is a dull pain that develops slowly, usually reaching its peak between 24 and 48 hours after a workout. This feeling is very often confused with common muscle pains. The aetiological agent of these changes is the muscle cell damage the areas of tendon attachment. The pain usually subsides within a week of exercise, but the overall regeneration of damaged fibres is much slower. These changes are known as delayed onset of muscle soreness. Studies show that BCAAs help to reduce muscle soreness after exercise. In a group receiving branched-chain amino acids, muscle soreness was 30% lower (chart 1) than in the group receiving a placebo. 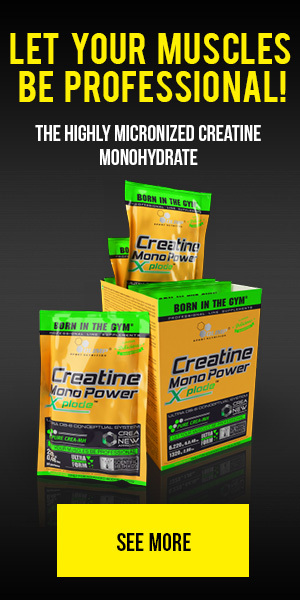 The creatine kinase level (marker of muscle damage, chart 2) was 22% lower in the first day in the group receiving BCAAs, and the ability of muscle to generate strength in the placebo group decreased by 27% and in the BCAA group by only 18%. The post-workout regeneration was also faster in the group of subjects receiving branched-chain amino acids (iii). Chart 1. Delayed onset of muscle soreness, before and after intense exercise. Chart 2. Creatine kinase concentration in the blood plasma, before and after intense exercise. 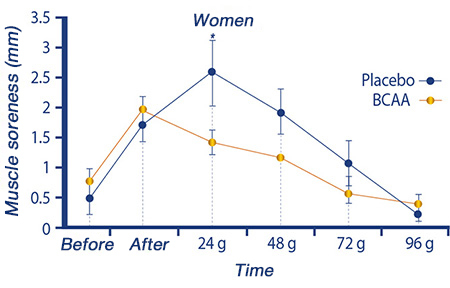 In another experiment, supplementation with branched amino acids in combination with glucose, decreased muscle soreness in women (compared to placebo, chart 3). Muscle soreness was examined for 4 days, every 24 hours from the end of the exercise (iv). Chart 3. Delayed onset of muscle soreness, before and after intense physical activity in women. BCAA 4000 EXTREME SHOT® - BCAAs act anabolically and ANTICATABOLICALLY! The experiment, which was conducted on 19 healthy subjects who spent 6 days in bed, showed that a lack of physical activity for such a short period of time resulted in a decrease in protein synthesis. 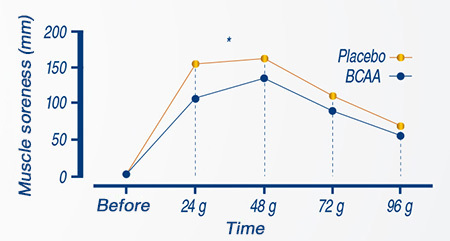 In addition, an increase in the level of the BCAAs received helped to stabilise protein synthesis. The increased intake of BCAAs caused a 20% decrease in nitrogen excretion in urine, which indicates that fewer proteins are removed from the body (v). In addition to branched-chain amino acids acting anabolically, they have one more advantage - they also act anticatabolically. During gruelling workouts branched-chain amino acids are released and “burnt” from muscle protein. Additional use of BCAAs before, during and after workouts can inhibit the breakdown of muscle protein. In the BCAA 4000 EXTREME SHOT® the catabolic activity of branched-chain amino acids has been reinforced with a high dose of L-glutamine, which further intensifies the effect. BCAA 4000 EXTREME SHOT® - BCAAs and ENDURANCE SPORTS. Swimmers taking 12 g of BCAAs per day prevented muscle catabolism after swimming 600 m, whereas the group taking placebos experiences muscle catabolism one day after exercise (vi). In addition, the exertional regeneration of swimmers also improved. Similar conclusions were drawn from a study on cyclists who before, during and after workouts drank a BCAA-rich drink. Amino acids protected their muscles from breakdown (vii). We can expect the analogy of the above-mentioned effect in people who practise other sports of a similar nature, including runners, marathoners, decathletes or participants in team sports. WHY ARE THE COMPOUNDS USED IN THE BCAA 4000 EXTREME SHOT® SO IMPORTANT FOR PEOPLE PRACTISING SPORTS? BCAAs are the basic building block of muscles - accounting for nearly 40% of their dry weight. BCAAs administered before workouts enable the protection of muscle proteins against breakdown, acting as an alternative source for the synthesis of glucose in the state of body exhaustion. They have a positive impact on increasing the efficiency of acquiring energy from supplementary fats, maintaining an optimal level of energy supply to working muscles. Acceleration of the rate of post-workout regeneration. A high level of BCAAs in the body during workout can reduce the production of serotonin in the brain which substantially helps to reduce and delay the feeling of general fatigue. In addition to having a catabolic effect, they effectively activate the pathways of the protein synthesis system and are a direct substrate for building lean body mass contributing to improving the figure. 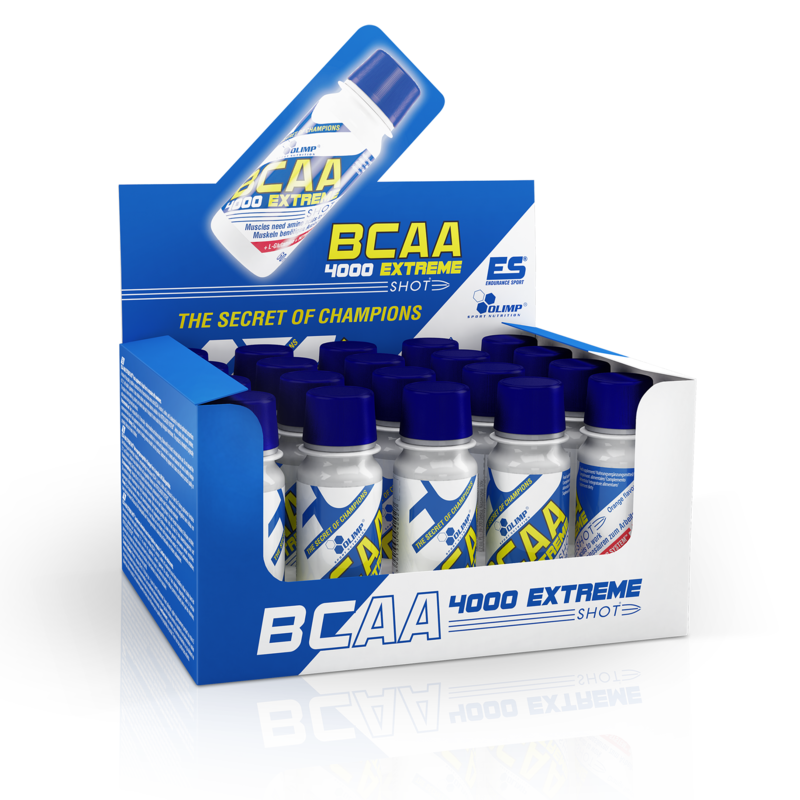 If you want to practice for a long time and with the utmost intensity, while protecting muscles from breakdown, the BCAA 4000 Extreme Shot® is the ideal product for you! BCAA 4000 EXTREME SHOT® - ANABOLIC building blocks allow you to build the muscles you have always dreamed about! Due to the use of liquid technology, its components are immediately absorbed, they do not have to undergo the digestion processes that protein derived from food does. And it is the precious minutes directly after a workout that separates the champions from the rest. You can be sure that with the BCAA 4000 Extreme Shot® there is no delay in absorption unlike in tablets or capsules, and also in soluble powders. LOOKING FOR HIGH-EFFICIENCY AND FAST ACTION? an easy to carry handy ampoule, you can use the product at any time and in any place, you do not have to swallow numerous capsules or tablets, you can always be sure of the freshness of the product (1 ampoule = 1 serving). pharmaceutical quality of amino acids used for the production of BCAAs, only free forms, and not commonly used filtrates of hydrolysates contaminated by other amino acids, instant effect guaranteed by the liquid form of the product optimal for sports exercise ratio of L-leucine: L-valine: L-isoleucine = 2:1:1 synergy of the components (addition of taurine and B vitamins) convenience of use through a handy ampoule, excellent, aromatic flavours, no added sugar, so far the largest concentration on the market per 1 ml of liquid consumed, BCAA with improved solubility (instantised) - better digestibility, handy and convenient in the form of a small ampoule that can be carried in a pocket or belt, ready to drink, time saving and convenient, no need to prepare a shake, high concentration - low stress for the digestive tract, a wonderful taste that does not leave the feeling of thirst or dry mouth. THE TASTE OF BCAA DOES NOT HAVE TO BE A PUNISHMENT, IT CAN BE A PLEASURE! FASTER REGENERATION, INTENSE CONSTRUCTION OF NEW PROTEINS, PURE MUSCLE MASS IN LIQUID FORM! 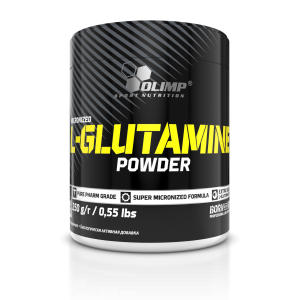 Ingredients: water, free amino acids (BCAA: 3,3% L-leucine, 1,67% L-valine, 1,67% L-isoleucine; 1,67% L-glutamine), acidity regulators- citric acid, sodium citrate; aromas, 0,4% collagen hydrolysate, sweeteners- acesulfam K, sucralose; preservative- sorbic acid; emulsifier- soy lecithin; pyridoxine hydrochloride – vit. B6, cyanocobalamin – vit. B12, , colours: beta-carotene, riboflavin, carmine (for orange flavour), carmine (for strawberry flavour), riboflavin (for lemon flavour). 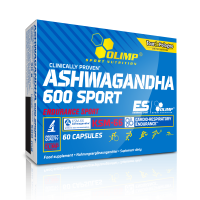 The product is intended for physically active persons during pre and post workout.